Telkom charges a premium rate for the 086 numbers and share the profits with the fax to email companies. We offer 0866 numbers, but due to the growing demand for fax services, the 0865 range has also been added, and further numbers may be added as our service grows. 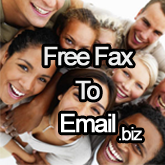 The fax number range is 0862, 0865, 0866, 08673, 08774, 08676 and the caller pays increasing rates linked to last digits. Telkom publishes these rates on their website. 016: Vaal Triangle: Vereeniging, Vanderbijlpark and Sasolburg, which constitutes an anomaly, since Sasolburg isn't the old Transvaal.